I recently finished reading Mikhail Bulgakov’ *The Master and Margarita* and it was really good. But let me add some context to that. Being a Russian novel, it has been translated into English. Now the prose is excellent and it made me wonder how much liberty did the translator have with the prose. Are there passages that didn’t come directly across, so the translator had to nudge some of the prose into a form that flowed a bit better. My copy is from Fontana/Collins and Harvill printed in 1979. The translator was Michael Glenny. The prose is superb. Unfortunately, the story is a bit lost on me. The two titular characters don’t appear until about a third of the way into the book. And most of the story is about the Devil and a small retinue of demons making chaos in Moscow. Sure there’s plenty of space for satire and absurdity. But there is no real tension. I knew the main characters would walk away (relatively) unscathed and the devil and gang would simply go somewhere else. My favourite parts were the story-within-the-story, which were about Pontius Pilate and his judgement over one Yeshua Ha-Nostri, and the intrigues that surrounded that. I am curious whether other translations differ. How much liberty with the text did they take? What words and prose did they choose? Bulgakov lived an intriguing life. Even though he trained to become a doctor, but chose a life in theatre. He spent most of his time writing plays that would get censored or banned for their criticality over the then Soviet regime. For a short time, his number one fan seemed to be Stalin himself. This book was written in relative secrecy. He finished it in 1938, but died in 1940, never seeing its publication well after his death. I just read the my copy is from a early translation from 1967. Apparently there is one by Burgin and Tiernan O’Connor that is recommended. So I have to add that to a list. 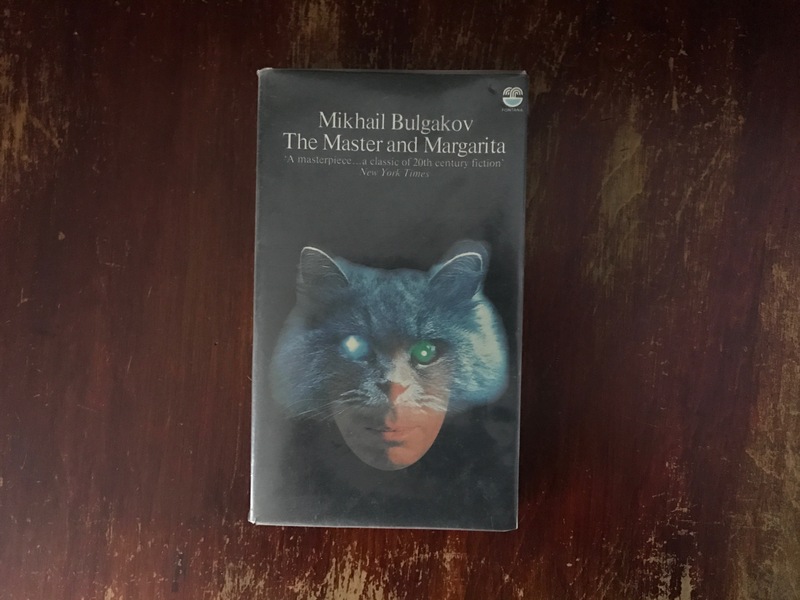 This entry was posted in books and tagged books, fiction, mikhail bulgakov. Bookmark the permalink.